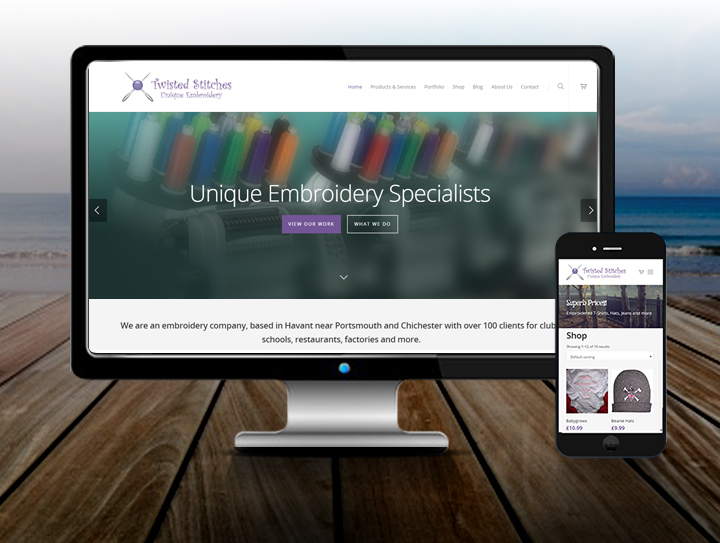 This ecommerce website design in havant was for Twisted Stitches. 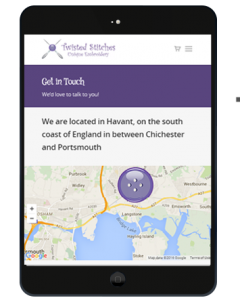 They are a fast growing embroidery business in Havant, between Chichester and Portsmouth. They came to us for a brand new fresh looking website to attract more customers. The brief was to create a visual and eye catching look and feel. We added an abundance of images, sample photos and a purple colour scheme to match the logo. 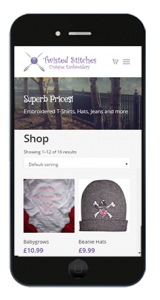 The website was designed in WordPress with the responsive menu and layouts kept in mind. This works well on all device platforms and is very easy to navigate and scroll through the site. The site is clean, simple and creative. The SEO work included building keywords into the back-end of the website, creating links to and from social media and adding a blog feed. Google and Bing tools were also used to create a very Google friendly website. A Google Adword campaign was also added to the spec.